With all the neutrals I had planned, I knew my tablescape was going to need some color. 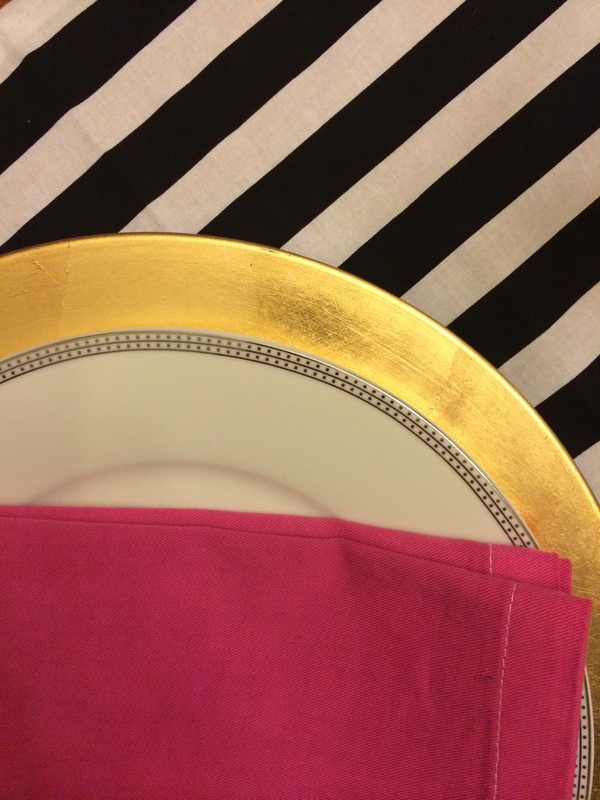 I painted a couple wooden napkin rings I had lying around, with a bright pink acrylic craft paint, but then I couldn't fit the white cloth napkins that I already owned, inside the rings. Fail. Note to self: check for fit, before you paint. So, I decided I would color the napkins themselves. They were plain, and white, and probably purchased on sale at Cost Plus. I got the RIT dye pack at Michaels. All they had in the pink family was this fuschia color, and a light pink. I envisioned more of a hot pink feel, so I went with the fuschia and hoped for the best. I followed the instructions on the back of the package (for the most part). I took out the biggest pot I own and boiled lots of water. I didn't measure it exactly, clear I was feeling rebellious. I added the dye and the napkins. I ended up letting those bad boys simmer in there for a LOT longer than the box called for. When I took them out after the suggested time, they didn't seem pink enough, so I kept leaving them in for 5-10 more minutes. Finally, I decided time was up and I rinsed them with cold water, and washed them on delicate in the washer, with a little laundry soap. When I took them out they were PEACH. Salmon. Coral. Not fuschia, and definitely not hot pink. Thankfully I hadn't dumped my dye out yet, so I dumped them back in the pot and let them hang out for maybe another 30 minutes. 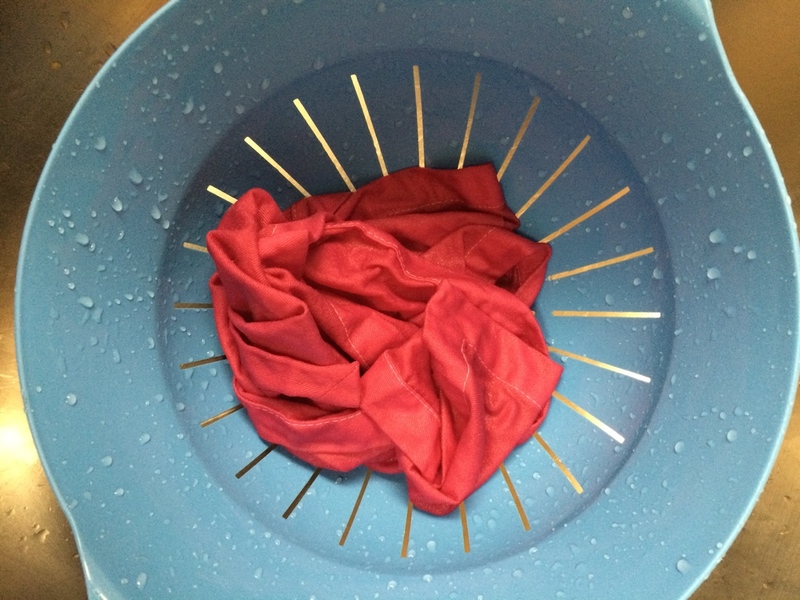 After that, I rinsed them in the sink with cold water and let them air dry overnight on the clothes drying rack. The next morning they were a bit crunchy, but after a run under the iron they were good to go. Not the softest napkins I've used, but their texture wasn't as important as their color. I found the perfectly simple black and white striped table runner on etsy. The silver polka dot dishes, I borrowed from Becca- how great is her classy wedding china? The gold chargers I got for like $1.99 a piece at Michaels.